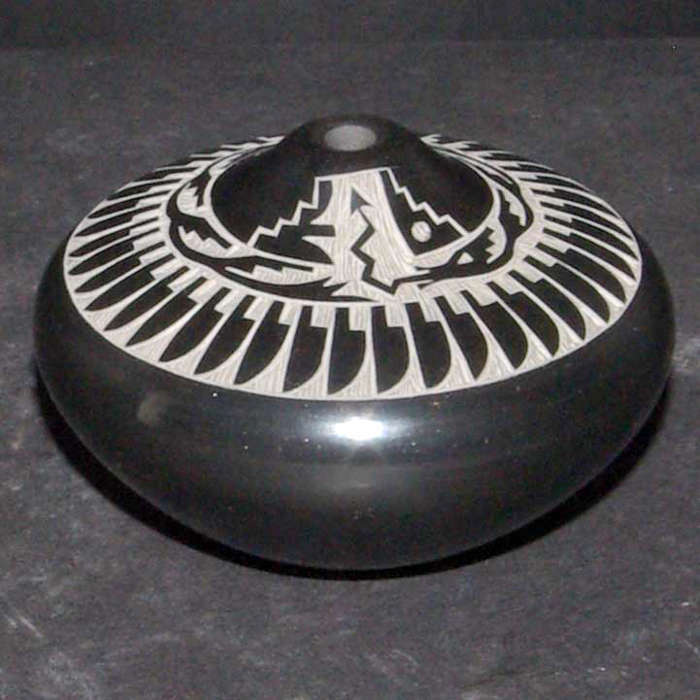 The sister of Dolores Curran, Geri Naranjo has been producing traditional pottery since 1975. 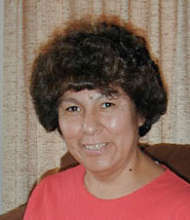 She was born in 1952 and her mother, Ursalita Naranjo, began teaching her to work with clay in 1962. She began exhibiting in 1980 and won many awards between 1980 and 1998, including Best of Division three years in a row at Santa Fe Indian Market. 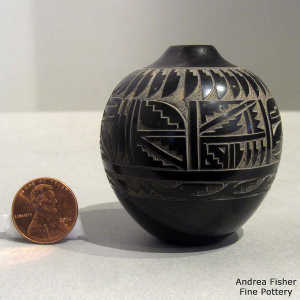 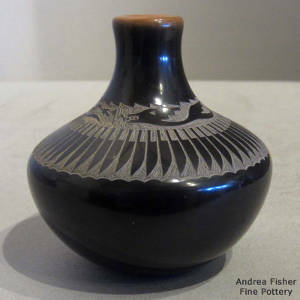 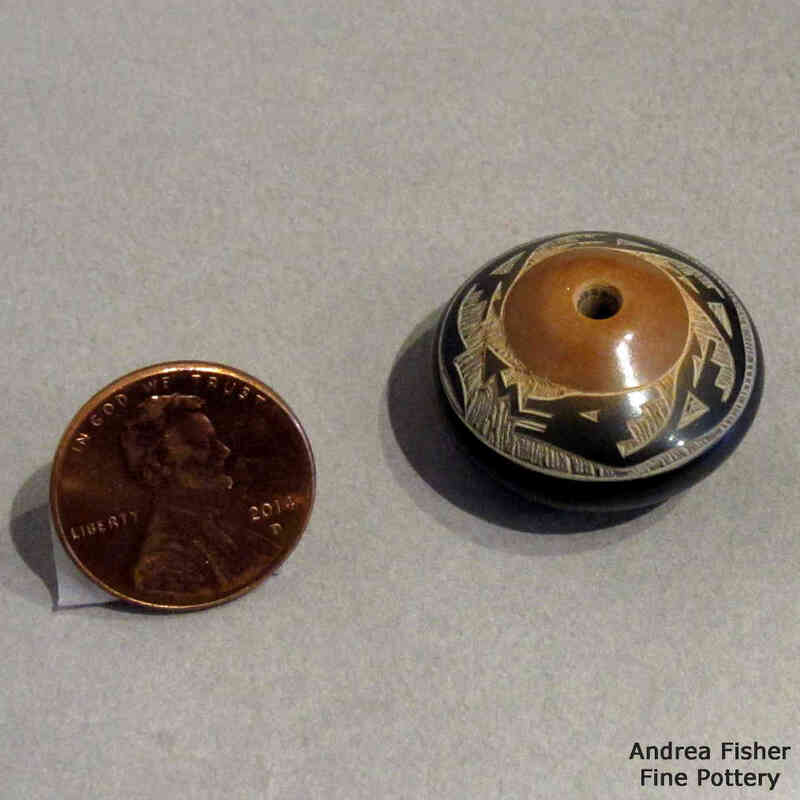 She is best known for her miniature sgraffito-inscribed black pots. Geri suffered a stroke in 1998 and can no longer make her miniatures. Thankfully she taught her daughter, Monica Naranjo Romero, and son, Kevin Naranjo, how to make pottery the traditional way and her daughter is now making miniatures while Kevin is producing incredible incised black bowls and jars.